WELLESLEY, Mass. — A remarkably lifelike sculpture of a man sleepwalking in nothing but his underpants has made some Wellesley College students a bit uncomfortable, but the president of the prestigious women’s school says that’s all part of the intellectual process. The sculpture entitled “Sleepwalker” of a man in an eyes-closed, zombie-like trance is part of an exhibit by sculptor Tony Matelli at the college’s Davis Museum. It was placed at a busy area of campus on Monday, a few days before the official opening of the exhibit, and prompted an online student petition to have it removed. The sculpture is a “source of apprehension, fear, and triggering thoughts regarding sexual assault” for many, according to the petition, which had nearly 300 signees on Wednesday. “I love the idea of art escaping the museum and muddling the line between what we expect to be inside (art) and what we expect to be outside (life),” she wrote. Freshman Bridget Schreiner told The Boston Globe she was “freaked out” the first time she saw the sculpture, thinking for a moment that a real, nearly naked man was lingering on campus. 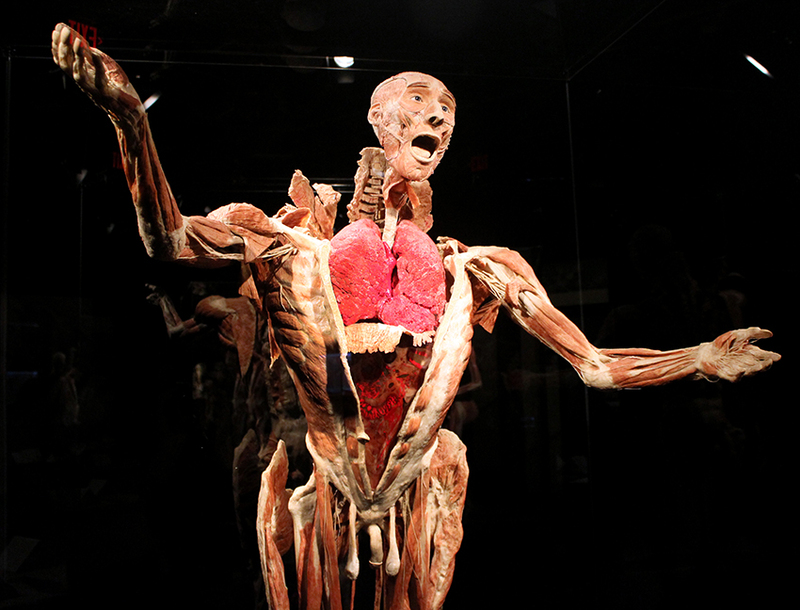 The world-renowned exhibit makes a stop on the second floor of Quincy Market, offering an intensive peek inside the human body—and also paying tribute to the Red Sox and Bruins.